Ventriloquist is a stage act in which the person changes his or her voice and you feel the sound is coming from elsewhere. 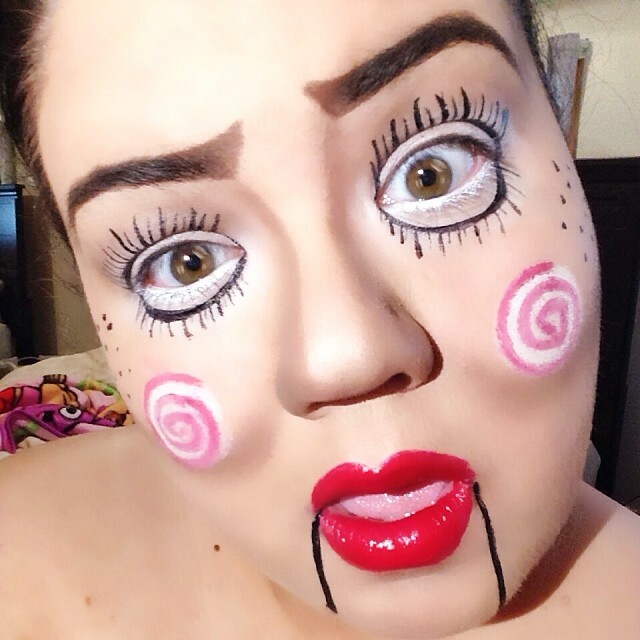 So for giving out this effect different techniques and ideas are used for the makeup as your face expresses everything. 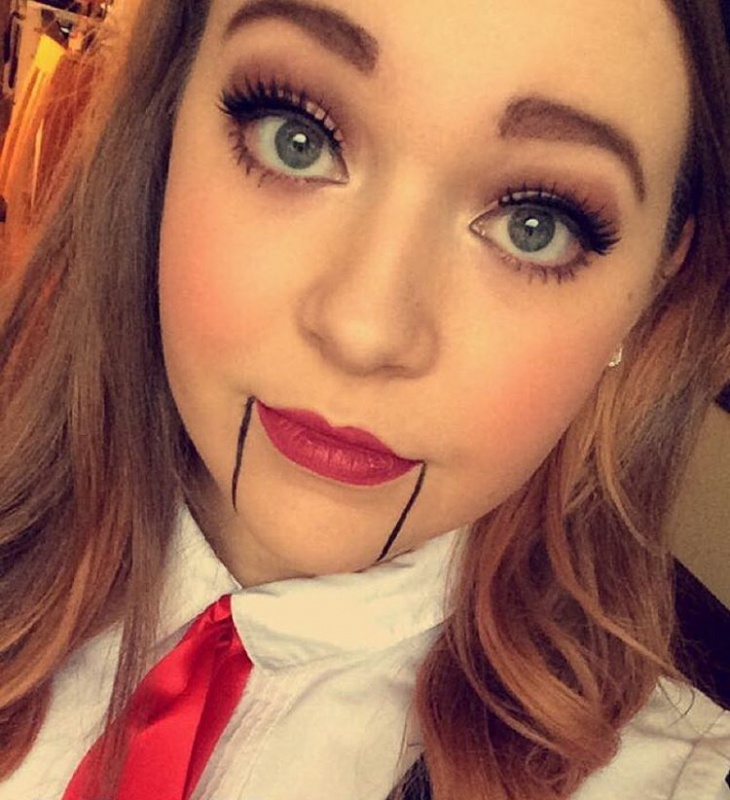 For Halloween Makeup, you can try some of these little tricks of ventriloquist makeup. A perfect practice can make your makeup look amazing and good. Choose a makeup which is perfectly going in hand with the makeup. 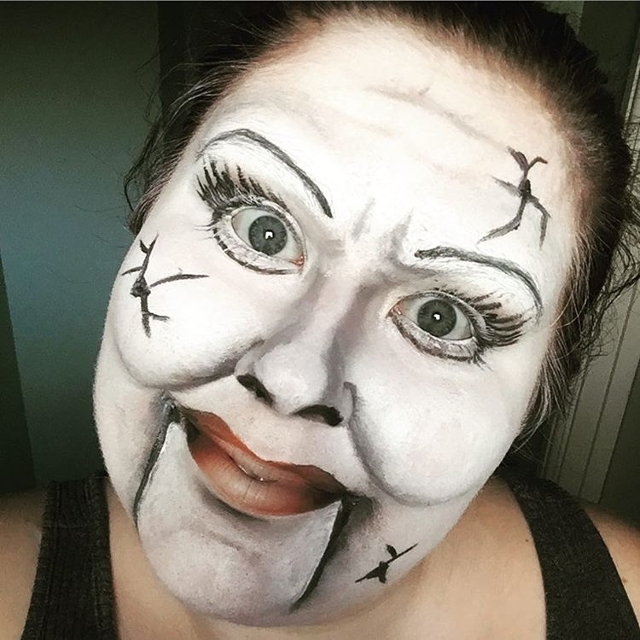 If you are performing a ghost character then this creepy makeup is the perfect. It looks bit childish but at the first looks its quiet scary. 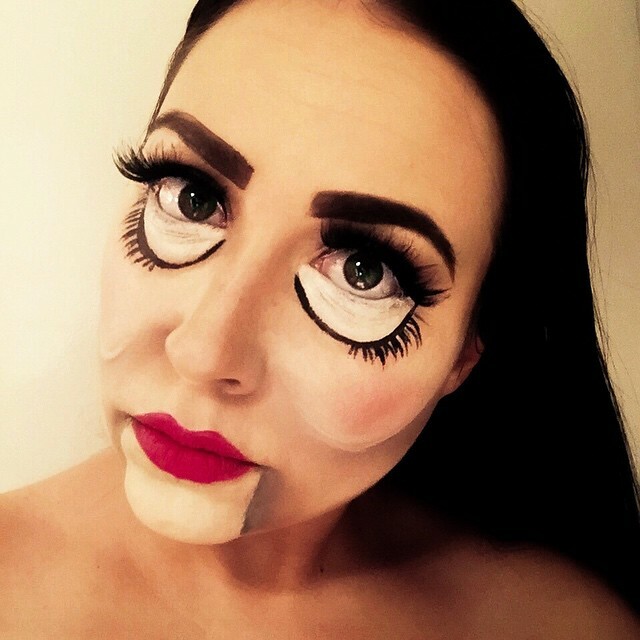 This makeup is suited for people with long face. The eyes are made bigger and the mouth is elongated with red lips. 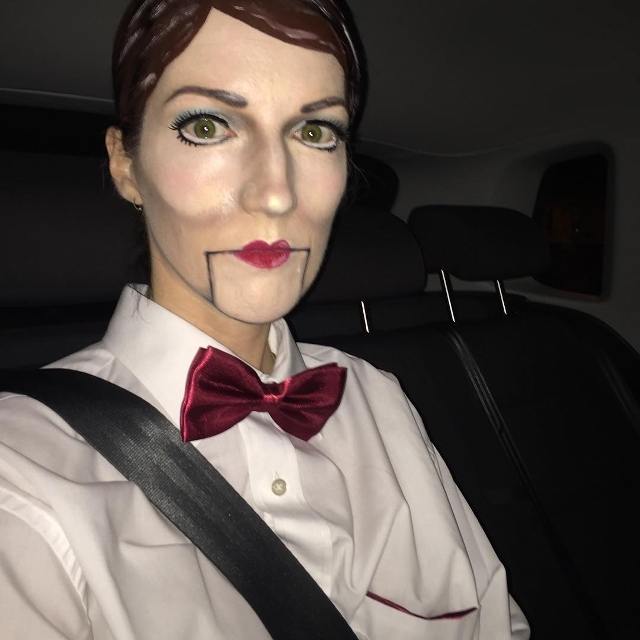 Broken ventriloquist makeup shows there are cuts on the face with dark black marks. 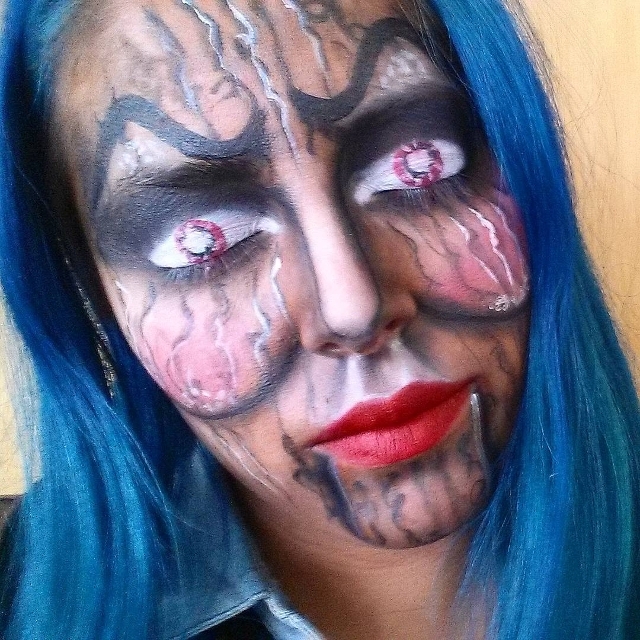 This makeup is suitable for Halloween parties. With this makeup you can show that your cheeks are bulging out. The eyelashes are extended with black and white combinations. 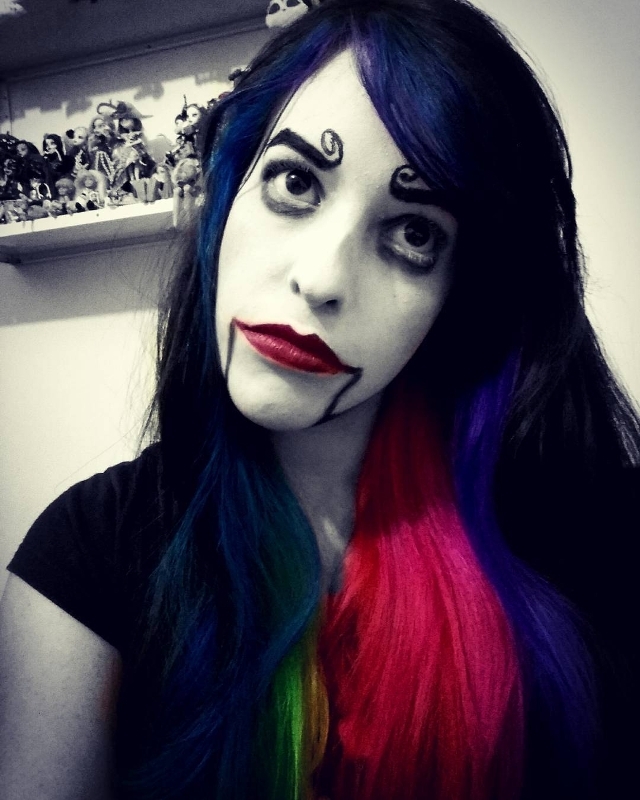 For a Halloween party this makeup is ideal. Apply a light shade of makeup completely to the face. Darken the tone near the mouth and cheeks to give the effects. Thicken the brows and add extra lashes to make it look thicker and bright. 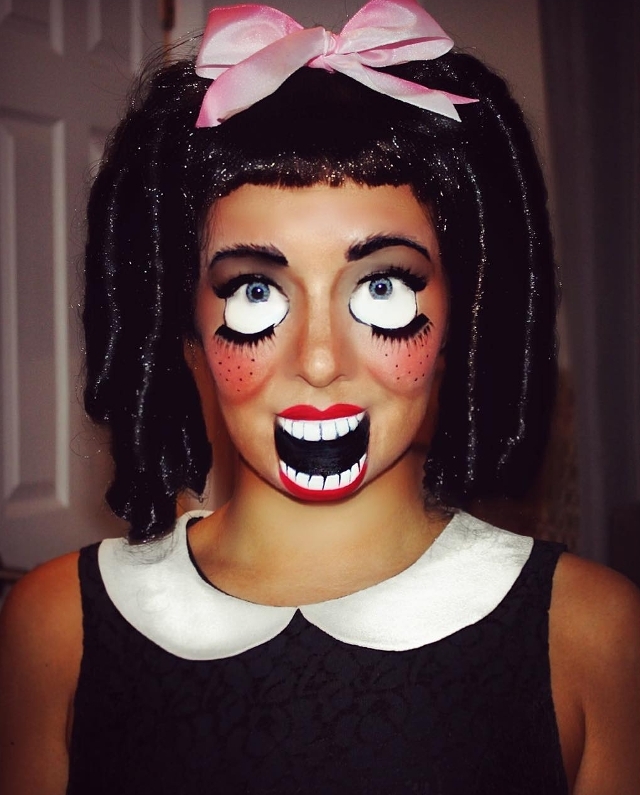 Doll makeups are really tough to do but a lot of practice will reflect a perfect effect of the doll. Don’t worry if you have flat cheeks, through makeup methodology you can make your cheeks look fluffy. The lips are made small to give a broken jaw effect. It’s a very simple makeup and easy to do for the newbie’s. Enlarge the eyes and make the lashes thick. Color the upper lips with red and lower lips white with black strips which represents the teeth. Draw an extra lips and teeth to show a big mouth. 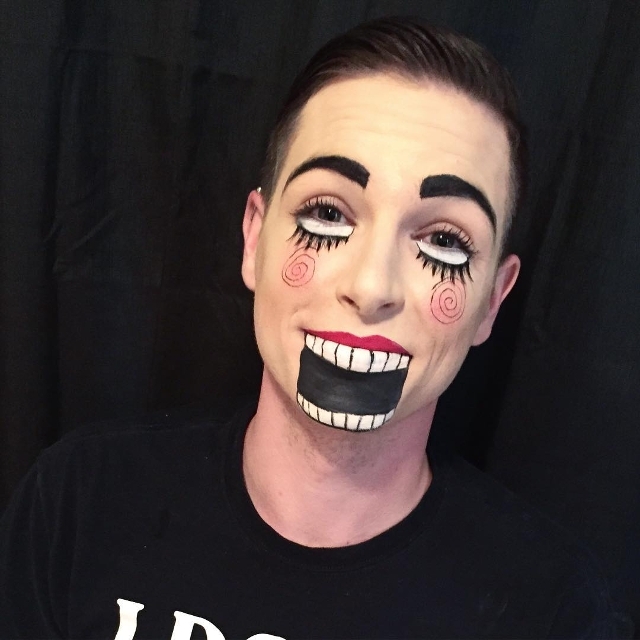 Scare your friend and audience with this scary ventriloquist makeup. The eyebrows are drawn in a wave form and the eyes make very scary. The makeup for the eyes is done on the lids with a black smoky effect. 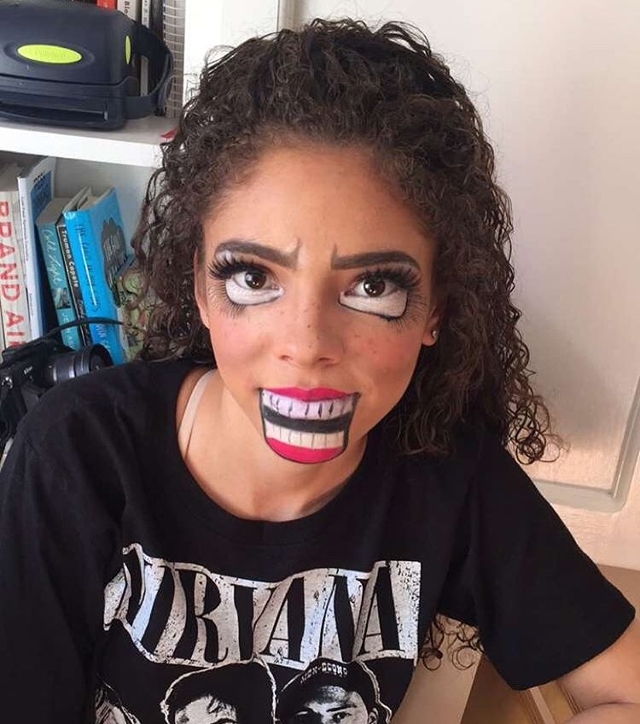 Puppet makeups are quiet funny and cute. Add a layer of light tone makeup for the face, do the brows thick in a “Z” shape which is tilted horizontally. 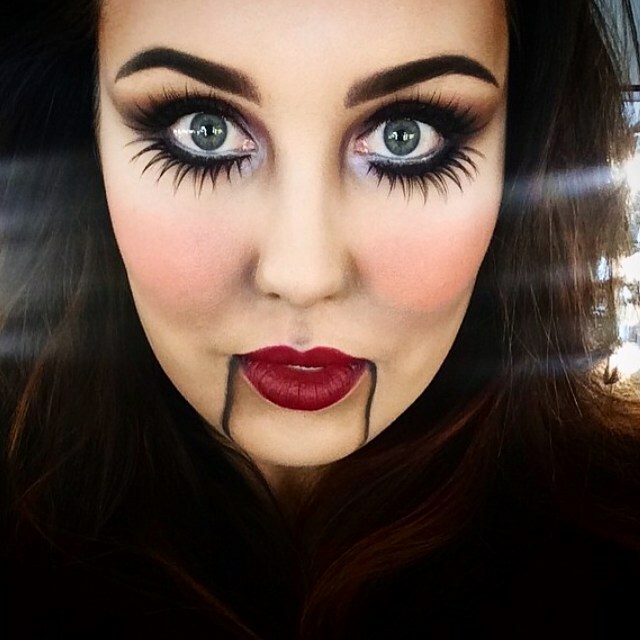 This makeup is suitable for Halloween and fancy dress parties. 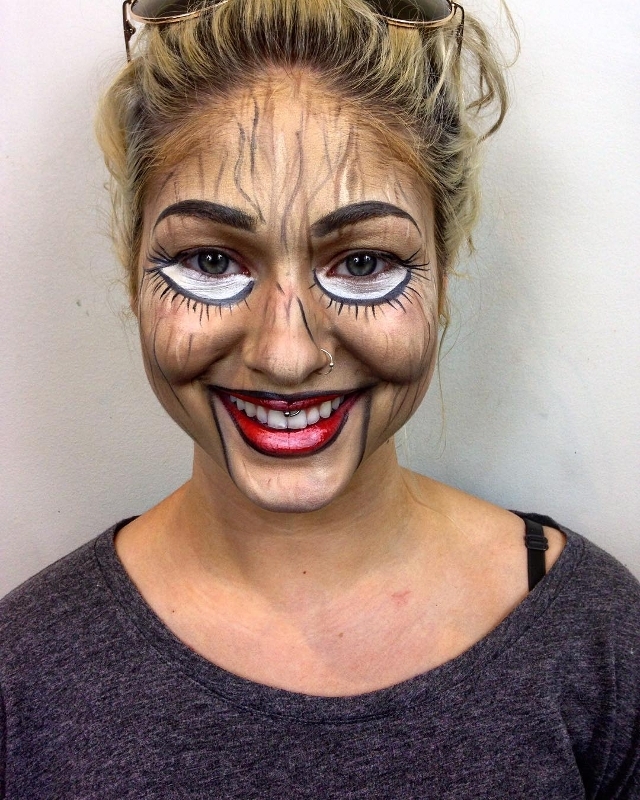 The wooden girl makeup is very simple and easy. 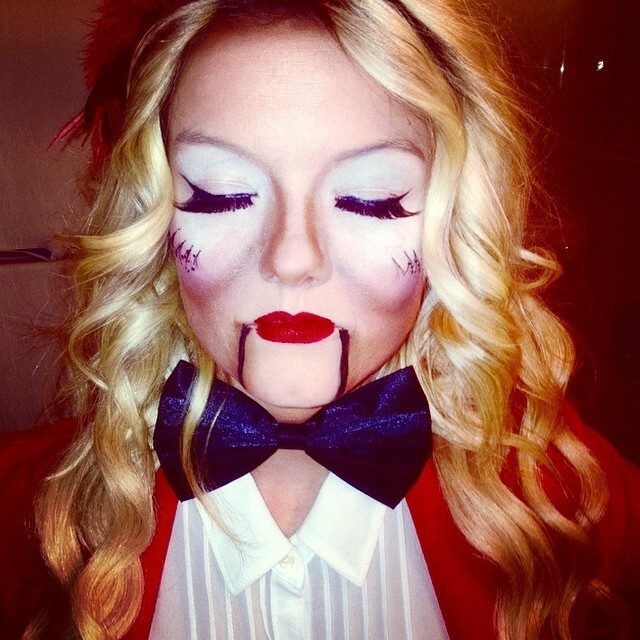 This makeup is preferred and suited based on the character for the play or for a Halloween party. The eyes are enlarged and the lashes are drawn to give an effect. The lips are coloured red and added a thick black outer liner for the lips. 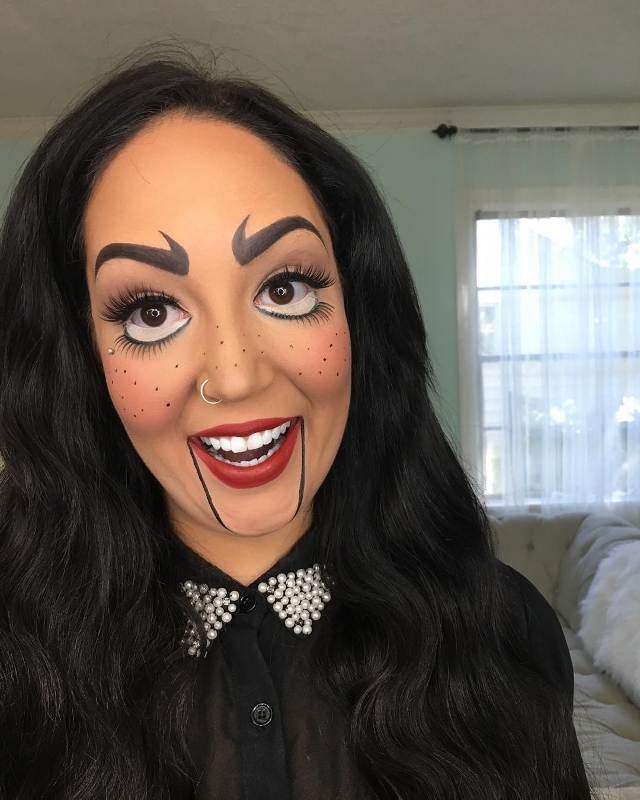 Some ventriloquist makeup’s looks funny and some looks bit scary. All your makeup’s depends upon the character you take up. The lips are coloured with cherry red and black lines from the edge of the lips which represents the broken lower jar. If you are looking for a simple and a quick makeup then choose this. This makeup is just meant for the beginners. Add extra lashes to the eye and darken the lower lashes. Use a dark lipstick and draw a line from the edges of the lips pointing down. The perfect makeup for the character makes the audience know your character immediately. Your eyes are the major portion of the face to feature the different expressions. So get the perfect eye makeup done. 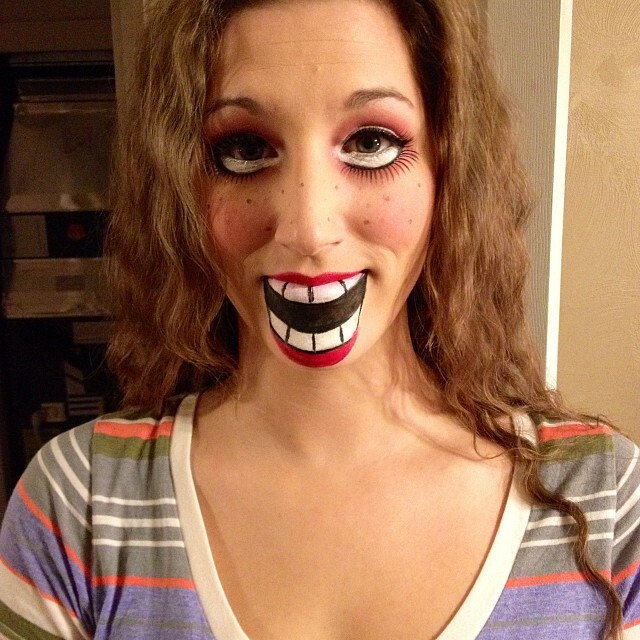 Ventriloquist makeups are very interesting as there are many characters and features which can be done.